Show us what moves you, without words. 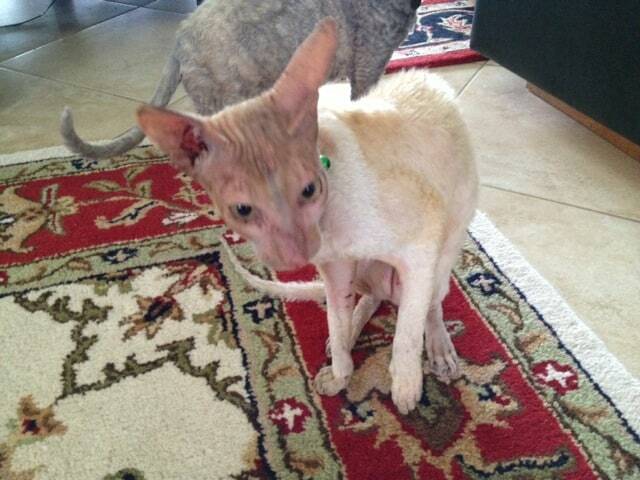 My baby Red Cornish Rex got lost over the weekend. He spent 3 full nights and days out there looking for his home. I’ve been searching for him endlessly, calling his name and walking around our local communities. Look at his burned skin. I was so in a hurry to take care of him, I never took a snapshot of what he looked like before his bath. It was horrible. 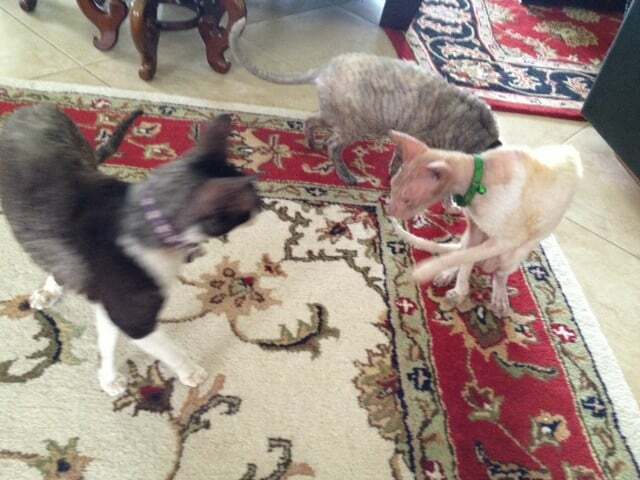 These are the rest of the crew greeting my Rex Cornish Rex back home, safe and sound. He can’t stop grooming himself after the ordeal he’d been through. Welcome home, our unintentionally prodigal son. 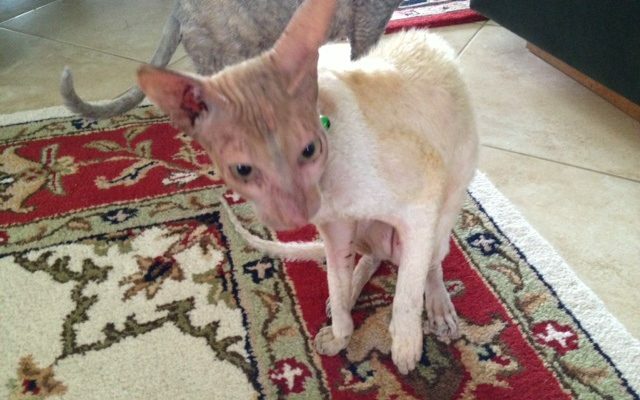 If it were not for the McAlert System that I used, my Cornish Rex would’ve never been found. I notified them that my kitty was lost. Within minutes the message has been shared with all residents who are registered to receive any distress notifications about what’s going on in their local communities on their cell phones and emails. People started calling me and letting me know what they’d seen of my cat. Then, that last call from one of the residents came in a few hours later. 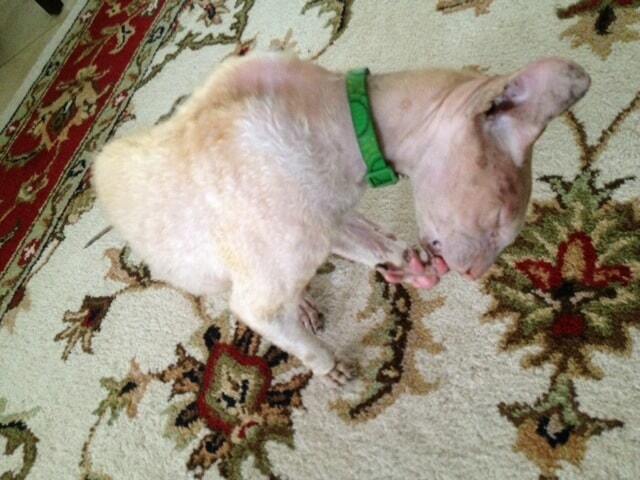 He, too, knew who to call when he saw my poor baby Rexy under the car, dehydrated, dirty, burned by the sun. I was there to pick up my exhausted bundle of joy and embrace him within minutes. Here he is, clean and fed and getting his so much needed rest. He sleeps non-stop at this point, trying to catch up and wake up far removed from those lonely nights spent outside his family and home. We would love to hear Your stories, too. 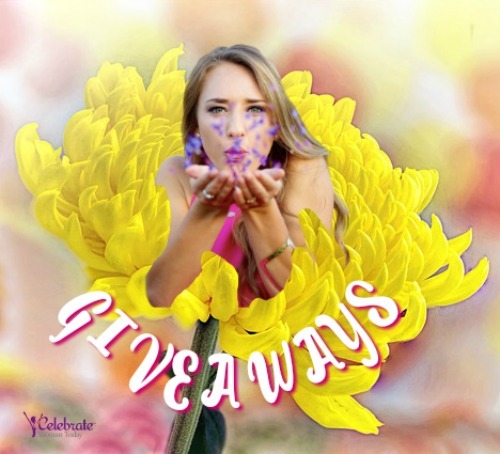 Link Your Awesome Speechless, Breathless Wordless Wednesday Masterpieces Here. Thank you to all for Sharing. So glad you got him back, what an ordeal for all of you. Hurray that he’s safe and sound, and kudos to that communication system you are a part of, that’s really nice! Poor kitty, but so happy he’s back home. I’ve definitely never seen a sunburned cat before. I am incredibly happy you found him! We have lost my little fur brother lil zen. We think he was stolen because he was there one minute and gone the next. Its been Its been almost 7 mths since he went missing. I am so glad that you found your cat! Thanks for hosting. Glad he is home now. So happy you found him safe and sound, even though a bit burnt from the sun. Glad you got your kitty back home safe and sound!